Beauty Counter is a company dedicated to progress towards a healthier beauty industry. Beauty Counter is built on three pillars: Education, Products, and Advocacy. The company strongly believes that education helps individuals make better choices about the products they use on themselves and their families. They make it a priority to educate individuals about what goes into their products and why other ingredients are not used because of their potential harm. 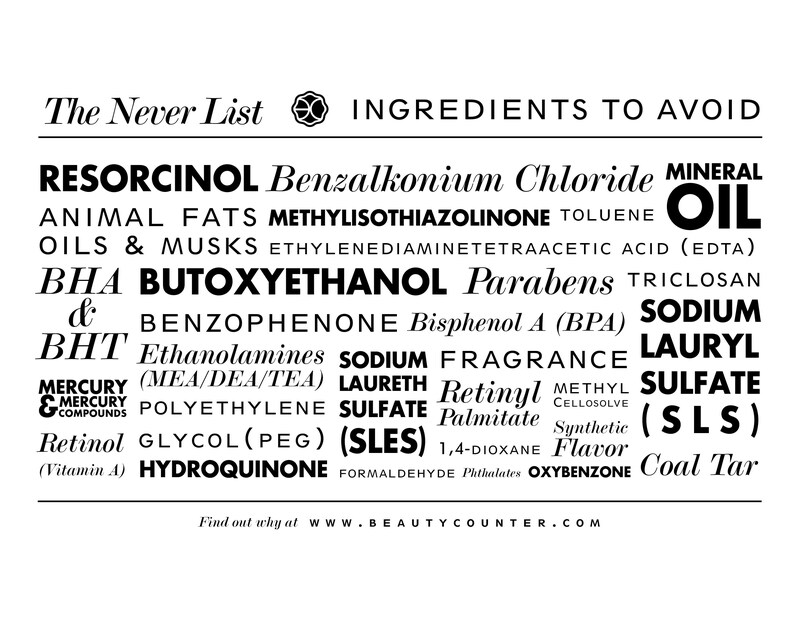 Beauty Counter has created numerous products that do not incorporate the thousands of harmful ingredients that are NOT currently being regulated in the industry. Not only are Beauty Counter products safer and healthier, they have great performance as well! Lastly, Beauty County is a company that stands up for what they believe in. There are more than 80,000 chemicals on the market today and many of these chemicals can cause cancer, reproductive harm, or other serious health issues. Companies are free to make their own decisions on chemical safety, which has led to these harmful chemicals being used in cosmetic products individuals use EVERY SINGLE DAY. However, Beauty Counter is different. The company has banned more than 1,500 questionable and harmful chemicals and posts those chemicals on their “Never List”. Despite making safer products, Beauty Counter products still continue to have very high performance! 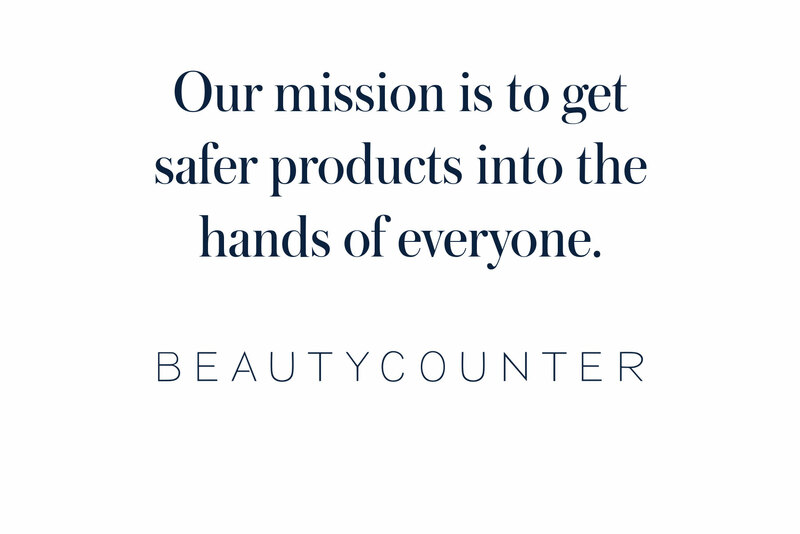 Beauty Counter is a unique and exciting company where safety meets performance. Why did I decide to become a Beauty Counter Consultant? I have been using Beauty Counter for two years now and absolutely LOVE IT. All of my skin care, make up, hair products, body wash, and lotion come from Beauty Counter. They consistently create products with safety and performance in mind. I have always been into the whole eat healthy and exercise thing, but two years ago I began to think about how important it was to know what exactly I was putting ON my body too. I have always had to be somewhat careful because I have extremely sensitive skin. (I used Proactive once in my teenage years and had actual burns on my face for two weeks after.) I have never had any issues with Beauty Counter, my skin and hair have thrived since I began using their products. I am a firm believer in this company, what they value, what they advocate for, and their products. I am by no means a make up guru or anything even close, I just value quality products that are going to be safe and work well for my needs. I will definitely be doing more posts on Beauty Counter products I love and use on a daily basis, as well as keeping up to date on what we are doing on the advocacy and education sides of the company. If you have any inquires about Beauty Counter (products, mission, etc.) or would like to sample different products, please feel free to message me via social media or send me an email through my contact page above! You can shop Beauty Counter products through me at: https://www.beautycounter.com/kaylajones1.